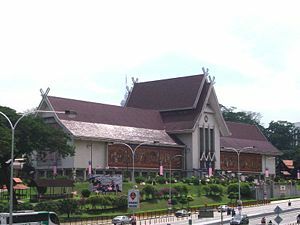 The National Museum of Malaysia was built to accommodate the many artifacts and collections of the past. The many artifacts that were accommodated in the National History Museum were also transferred here, making this place the best place to be in when exploring the history of Malaysia. Although there have been many articles surfacing about the accurate details of some of the articles in the museum, it is nevertheless a great place to view the many displays that are housed here in the national museum. Here, you can check out the pre-historic artifacts that are feature here. The Perak man, who is supposedly the oldest human being remains found on the peninsular are exhibited here. There is some speculation about the age of these remains. Nevertheless, it is quite a sight to be able to see such an old artifact that was found. The Dong Song drums which originated from Vietnam are also found here. A total of 200 drums were found but only one is on display here. As you walk through the museum, you will notice that the museum is divided into many themes that help to bring you through the Stone Age, the Bronze Age and to the Iron Age. Then, as you go on farther, there you can learn more about the Hindu-Buddhist kingdoms that penetrated the peninsular. Then, the Muslim sultanate of Malacca took over and the many artifacts that have been discovered from these many eras are put on display here. Pre-historic tools and weapons like the Tulang Mawas which was discovered by archaeologist can be seen here. For instance, an exact replica of the Bujang Valley can be viewed here. The Bujang Valley was discovered a few years back and is the proof that there were Hindu Buddhist states in those ancient days. At the museum, you can also see on display the many legacies of the Majapahit kingdom like their vessels. Some artifacts from the Sultanate of Melaka period are here for your display. The artifacts like the keris, the royal robes and artifacts can be viewed up closed in the museum. The legendary hero from Melaka; Hang Tuah is immortalized here with a mural in his honor. 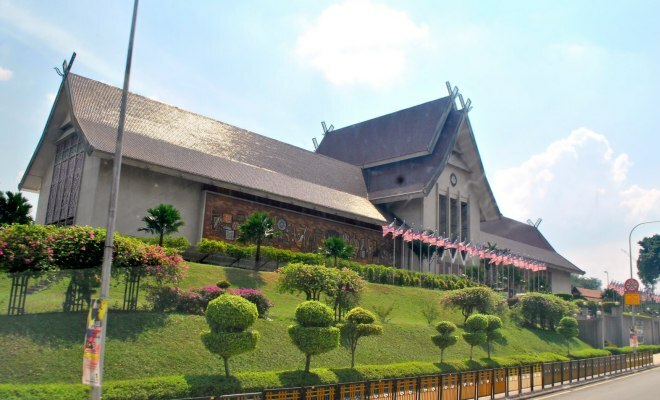 The museum is also a great place to explore the history of how Malaysia gained her independence from the days of the Malay states to the time when the states united to achieve independence. One highlight of the museum is the table which was used to sign the Perjanjian Pangkor (Pangkor Agreement) between the Dutch and the British. Also on display are the currencies that were used during the colonial period. You can also check out the artifacts left behind by the Japanese army during the Japanese occupation. They took over Malaysia by merely riding in on bicycles and some of these bicycles along with uniforms are on display here. The mementos of the declaration of independence are found here. History is being made every day and every moment of Malaysian history is being recorded right here, in the National Museum!